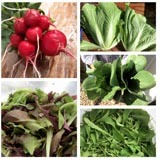 As I mentioned in my last CSA newsletter, we will be reducing the size of our farm operation in 2012. Over the past month we have been going back and forth on what aspects of the business to keep, revise or cut out entirely. This process is still on going, but we have made one very big decision. 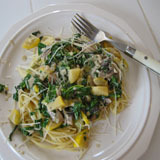 EverGreen Farm will continue running a fabulous CSA program again in 2012. We are still working on the details but we expect things to remain much the same as last season. Please contact me if you have any questions. I will update this blog as more information is available. Memberships will go on sale in January 2012.